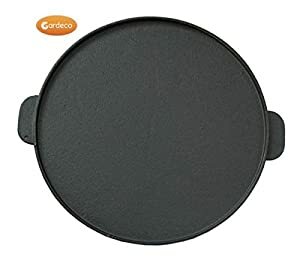 Garden incinerators & Fire Pits are presently offering the acclaimed Tia Chimenea Black With Bbq Grill for a great price. Don't pass it by - purchase the Tia Chimenea Black With Bbq Grill online now! 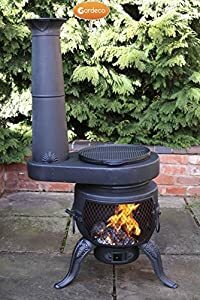 A very large modern and attractive looking chimenea with swivel BBQ grill and solid cast iron top and legs PLUS the new CHIM-STOVE for outdoor cooking and barbecuing. Easy to move and very easy to use. Warms up fast and gives a lot of heat. Burns any type of fuel. Best value for size chimenea. Choose this combination if you enjoy the outdoor life and cooking in your garden. Very versatile and practical. This model comes with cast iron legs that are bolted to the chimenea, a swivel BBQ grill for cooking and tong, a hinged mesh door with latch, an opening air vent, a charcoal grill and a lid for the top of the funnel. The Chim Stove attachment is 64 x 42 cm and 17cm high. Assembly is required but easy. Full assembly instructions are supplied. 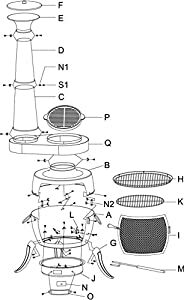 You can check the assembly process below. Supplied in two cartons.